Distributed in China, Loa PDR and Việt Nam where it is threatened by general deforestation and selective logging. Recent fieldwork and molecular research indicate that Amentotaxus hatuyenensis T.H.Nguyên is conspecific with Amentotaxus yunnanensis and should therefore be treated as a synonym of the latter. This change does not effect the conservation status of A. yunnanensis. Recorded from China (Guizhou (Xingyi) and Yunnan provinces); northern Việt Nam (Bắc Kạn, Hà Giang, Hà Tuyên, Lao Cai, Nghe An and Thanh Hóa Provinces); and recently from Houaphan Province, Lao PDR (Thomas et al., 2007). Populations are small and threatened. Amentotaxus yunnanensis is usually a small understorey tree occurring scattered in mixed evergreen and deciduous broad-leaved forests, but occasionally it can become much larger and reach into the canopy of primary closed evergreen tropical rainforest. The altitudinal range is between 800 and 1600 metres above sea-level. Annual precipitation is above 1500mm and fog is frequent. It is most commonly found on limestone karst formations, where it mixes with other conifers, e.g. Fokienia hodginsii, Xanthocyparis vietnamensis (locally), Pseudotsuga sinensis, Tsuga chinensis, Podocarpus neriifolius, Dacrydium elatum and Taxus chinensis, as well as with angiosperms. On substrates derived from silicious rocks (granite, gneiss) it is sometimes a large tree amongst angiosperms, with only a few associated conifers e.g. 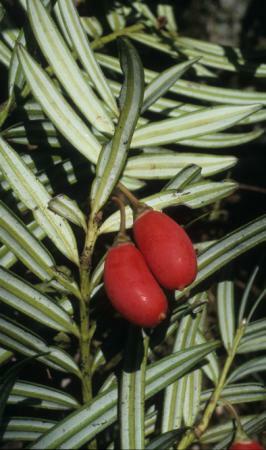 Cephalotaxus mannii, Dacrycarpus imbricatus and Nageia wallichiana. It is a relatively shade tolerant species, with seedlings and saplings successfully growing up under a forest canopy. The timber of larger trees is valued for furniture making, while smaller sizes are used for handicrafts and tool making. Much of this is done in China and it is likely that timber of Vietnamese origin is used. The seeds are rich in oils and these are extracted for medicinal purposes. Screening for anti-cancer drugs, as in other species like A. agrotaenia, may be conducted with this species as well, now that it is known to occur more widely. This species is in limited cultivation. This species has probably undergone a 30–50% population in the past three generations (≥75 years) due to loss of its habitat to expanding agriculture, general logging of forests and direct exploitation. It is therefore listed as Vulnerable. It was previously thought to have undergone a reduction of >50% and hence was listed as Endangered, but that assessment was largely based on the Chinese situation and it is now known to be more widespread in Việt Nam. The extent of its distribution in Lao PDR is uncertain. The bulk of the range and presumably the population occurs outside of China. Due to recent discoveries made of this species during intensive botanical surveys in Việt Nam, this species is now known to have a wider distribution than previously assumed. The majority of its (sub)populations appear to be in Việt Nam, not in China, and it is also in Việt Nam where the species attains large tree size. A re-assessment for Việt Nam gave it the status of Vulnerable (VU) for that country. In China it has been given the status of Endangered (EN); this has lead to a similar global status based on the earlier assumption that most populations were within that country. It is threatened mainly by deforestation, leading to fragmented areas of forest with declining population size in most. Targeted logging removes seed-producing trees, which may lead to diminished recruitment of seedlings and saplings in the population. Only a small proportion of the total distribution of this species occurs within protected areas and it has been observed that this is often insufficient to protect the species from deforestation or logging. Has been recorded from Xiaqiaogou in Xichou Xian, NW Yunnan (China) and from the Hoang Lien Son Nature Reserve (Việt Nam). Fu, L.K. & J.M. Jin. (1992). China Plant Red Data Book – Rare and Endangered Plants 1. Science Press, Beijing. Gao, L.M., L. Yan, K.L. Phan, L.J. Yan, P. Thomas, L. Phan, M. Moeller & D.Z. Li (2016). DNA barcoding of East Asian Amentotaxus (Taxaceae): potential new species and implications for conservation. Journal of Systematics and Evolution:doi: 10.1111/jse.12207 (online early). 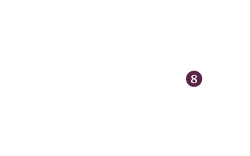 Nguyễn, T.H., Phan, K.L., Nguyễn, D.T.L.,Thomas, P.I., Farjon, A., Averyanov, L. & Regalado Jr., J. (2004). 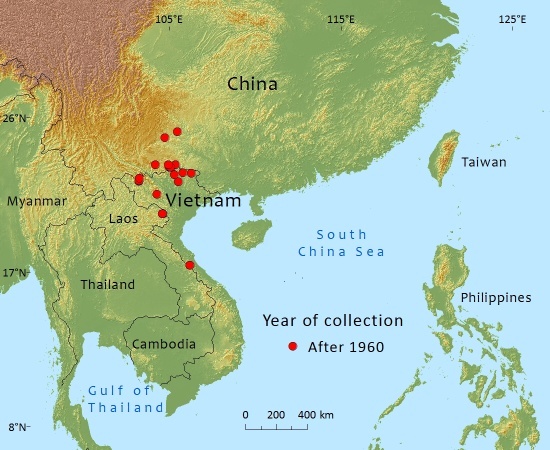 Vietnam Conifers: Conservation Status Review 2004. Fauna & Flora International, Vietnam, Hanoi. Yang, C.H., Zhang, T.Z & C.Y. Deng. (1998). A rare tree – A yunnanensis. Giuizhou Forestry Science and Technology 26(3): 33-35. P.Thomas, 2016. Amentotaxus yunnanensis, from the website, Threatened Conifers of The World (http://threatenedconifers.rbge.org.uk/taxa/details/981).